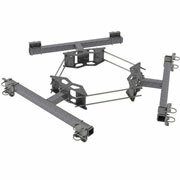 Co-location Dual Pipe Base Kit - Talley Inc. Monopole Sector Frame, Generation 2, 12 ft. 6 in. face, includes nine 96 in. pipes. 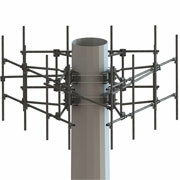 Monopole Sector Frame, Generation 2, 12 ft. 6 in. face, includes nine 126 in. pipes. Monopole Sector Frame, Generation 2, 12 ft. 6 in. face, includes twelve 126 in. pipes. Monopole Sector Frame, Generation 2, 12 ft. 6 in. face, includes twelve 96 in. pipes.